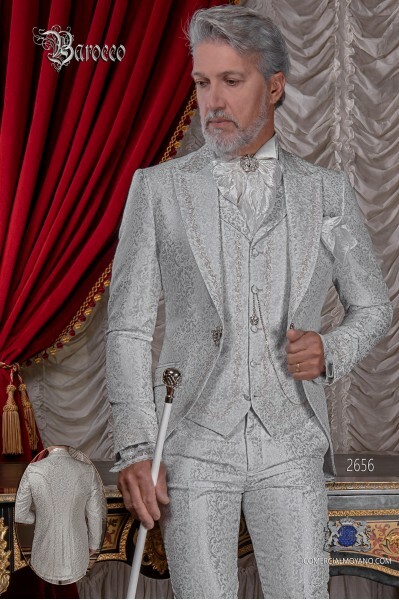 Gray redingote There are 12 products. 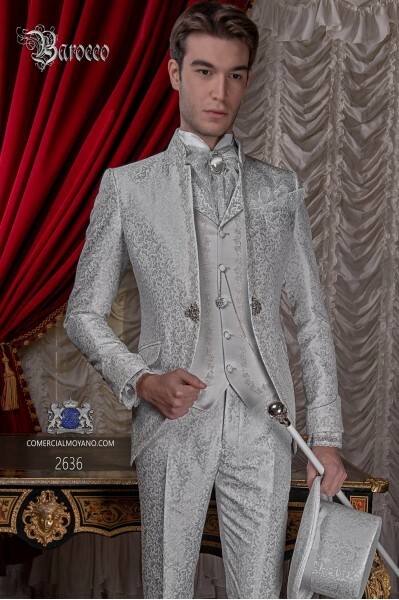 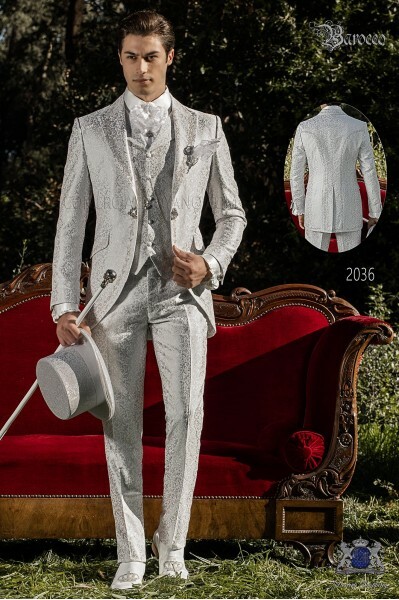 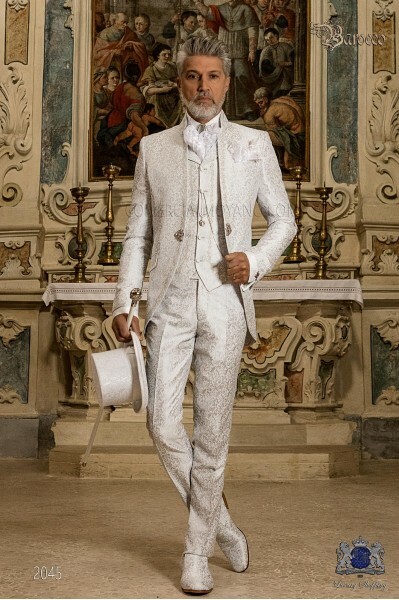 Baroque wedding suit, vintage Mao collar frock coat in pearl gray floral brocade fabric with rhinestones, model nº: 2057 Ottavio Nuccio Gala Baroque collection.It comes with a suitcase bag Ottavio Nuccio Gala. 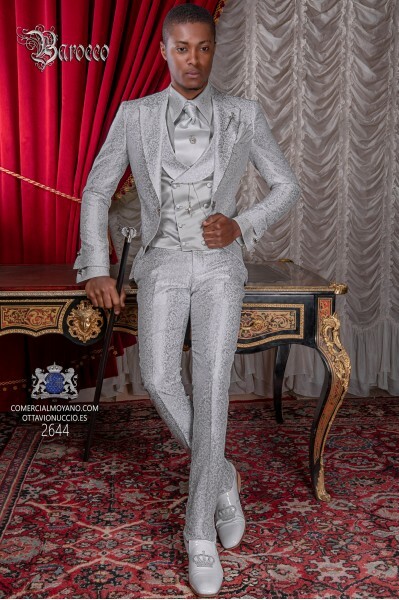 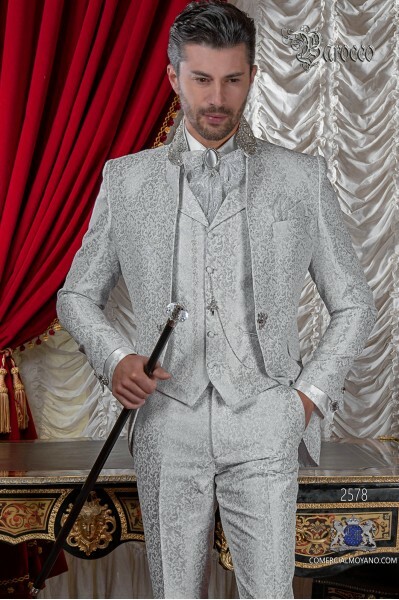 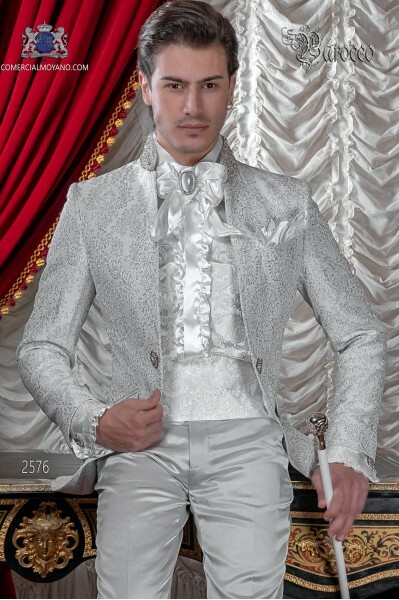 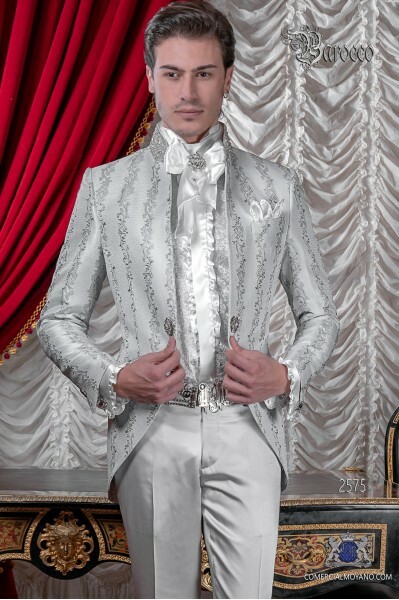 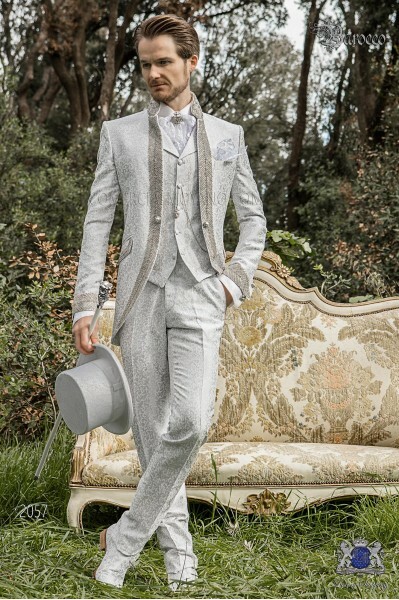 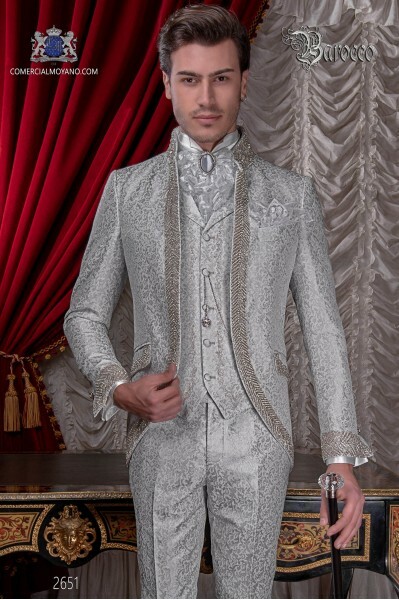 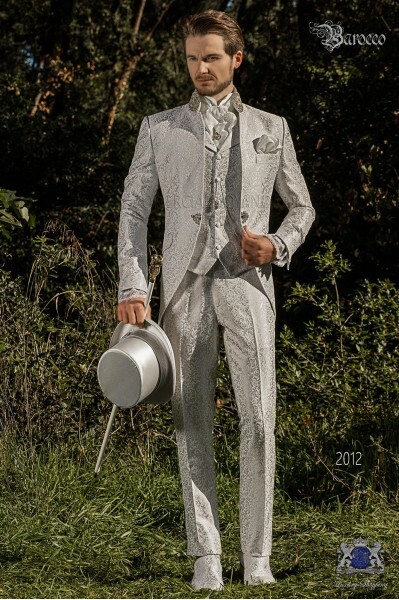 Vintage Men wedding frock coat in pearl gray brocade fabric with Mao collar with rhinestones, model nº:2012 Ottavio Nuccio Gala Baroque collection.